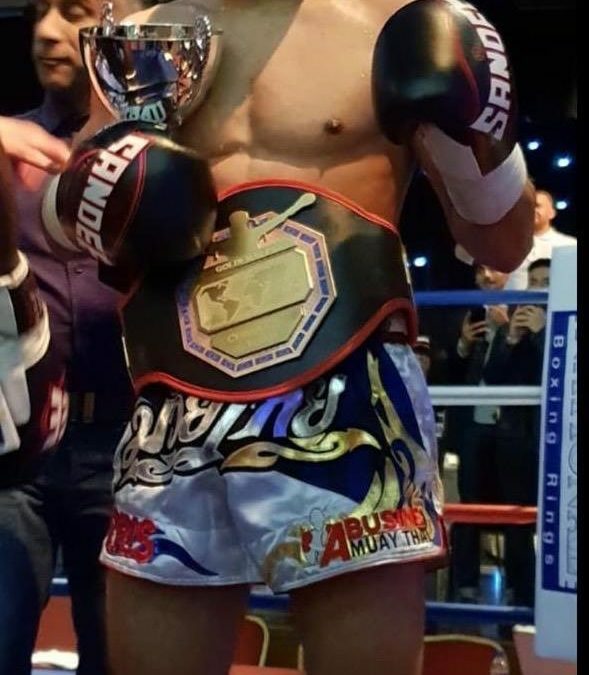 Much touted Bradford Muay Thai fighter Harris Hussain finally delivered on his undoubted potential on Saturday night when he captured the European 53kg K1 kickboxing title in a thrilling contest with France’s Jean Gomis in Manchester. Hussain, who is a a protege of former British Champion Alex Abusin, was originally slated to fight Gomis’s compatriot Michael Mysengsy until a broken hand forced him out two weeks before the fight. Gomis, therefore, was an unknown quantity but he proved his mettle in a back and forth first round. Hussain’s composure under fire kept him in control, however, and the tide turned firmly in his favour when he dropped the teak-tough Frenchman with an exquisitely timed jumping knee in the second round. He continued to be two steps ahead of his game opponent in the final round and it was no surprise when he was anointed as Bradford’s first ever European champion by a unanimous decision. Earlier on the undercard, another of Abusin’s stable of local fighters, Adam Trotter, made his first appearance on a professional card in an 85kg bout against Manchester’s Tom Walsh. Trotter, who took the fight on three days notice, started encouragingly, using his considerable reach advantage to good effect. He began to tire towards the end of the second round though and, after being floored heavily before gamely rising to his feet, the referee called a halt to the contest towards the end of the third round. Hussain is hoping to defend his newly-minted crown early in the new year and could be joined on the bill by one of a number of burgeoning talents emerging from Abusin’s Killinghall Road camp.